We believe in paying it forward, so for the past couple of years we’ve sent out Holiday cards that have a dual purpose. No recycling bin needed! 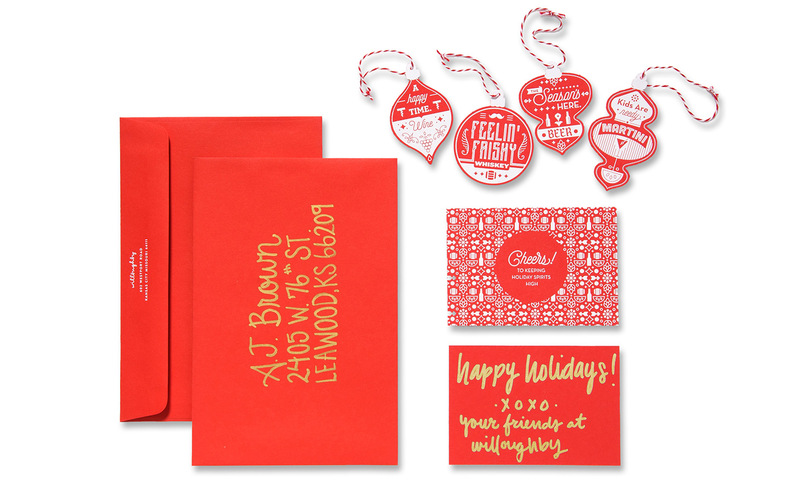 Each card doubles as a series of four gift tags that can be punched out and used as pretty little gift accents. Last year it was gold foil and tinsel. This year we mixed it up a bit and went straight for the Holiday Spirit. 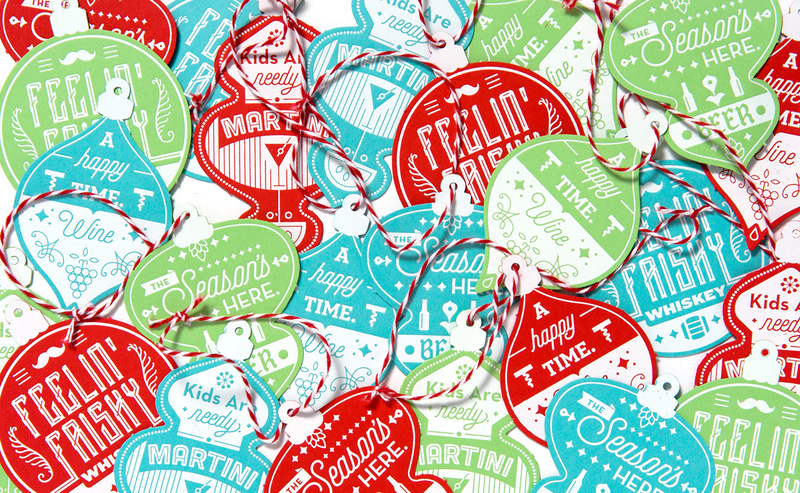 2015’s Holiday Punch tags are meant for booze: wine, beer, whiskey, you name it. They’re simple, silly and ready to party. Because nothing says, “I need a drink” like the Holidays. So use them on your favorite local spirits. Here’s wishing you and yours a very Happy Holiday Of Your Choice! A special thanks to Skylab Letterpress and French Paper. If you’d like to share in the Holiday Cheer just sign up for our newsletter and we’ll send you a set of your own. While supplies last.